IF YOU want to know just what a problem Qatar Airways faces as its neighbouring nations isolate it, a map illustrates its predicament perfectly. Qatar may have a direct line to international waters but in terms of air space it is completely surrounded by some very angry neighbours. Saudi Arabia, Bahrain, the United Arab Emirates, Yemen, Egypt and the Maldives broke off diplomatic and trade relations with Qatar on Monday amid accusations the tiny but gas-rich state has been supporting terrorism. The measures included banning Qatari planes from flying to their countries, and in some cases, over them. By Tuesday, Qatar had axed its 25 daily flights to the UAE and 20 to Saudi Arabia. But due to a 70-year-old international aviation law, Qatar may not be as hemmed in as it may otherwise seem. In recent years, Qatar's national airline has grown massively in a bid to rival global giant Emirates, based in Dubai, and Etihad, based in Abu Dhabi. The country has built a shiny new $17 billion airport in its capital Doha chiefly to serve Qatar Airways. 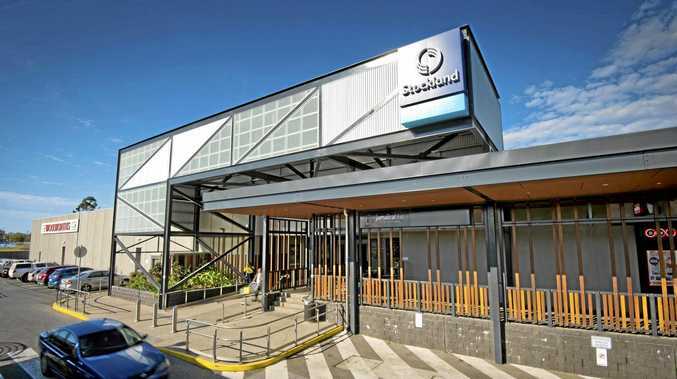 The airline boasts almost 200 aircraft flying to 150 destinations including Sydney, Perth, Adelaide, Melbourne and soon Canberra. 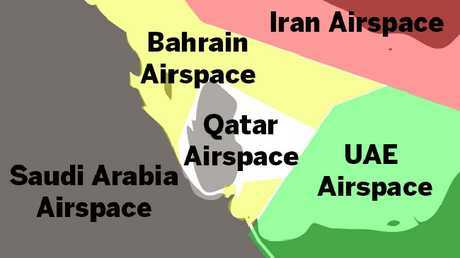 Like any nation, Qatar controls its own airspace. However, being such a small nation, the airspace of its neighbours is very close by. Qatar's problem as of this week is that it has no direct access internationally, wrote the CAPA Centre for Aviation - an air industry analysis firm - in a briefing on the issue. "Qatar has very little airspace; it is largely surrounded by Bahrain's flight information region (airspace). A slither on the south is managed by Saudi Arabia while the UAE is on the eastern border. "Losing Saudi airspace is significant, but even worse would be losing Bahrain airspace since it practically encircles Qatar. Most Qatar Airways flights to Europe can (and prior to the airspace ban, did) track north of Saudi Arabia. "Losing Saudi, Bahrain and UAE airspace would effectively ground Qatar Airways," the report said." But Qatar Airways should, legally, have a get out of Doha free card. Civil aviation law is largely based on the Chicago Convention signed all the way back in 1944. It recognises a country's sovereignty to its airspace - basically that it can decide who lands and who doesn't. However, signatories to the "Transit Agreement" agree that international passenger flights can overfly their territory on the way to somewhere else. Saudi Arabia has not signed the agreement, so it can do as it pleases. But Bahrain and the UAE have and so Qatar can legally still fly over them. flights are currently avoiding the UAE by charting a course close to the Red Sea through Iran, a country which is pretty chummy with Doha. But to get from that airspace to Qatar means flying through Bahrain's territory. 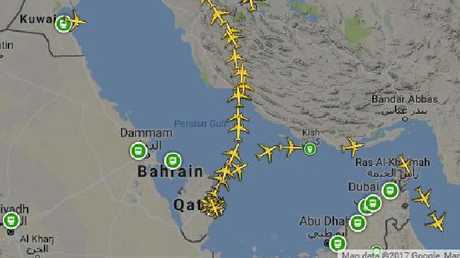 Which is exactly what Qatar's jets are doing, albeit on one, now very congested, flight corridor that gives the airline a quick exit to Iran. 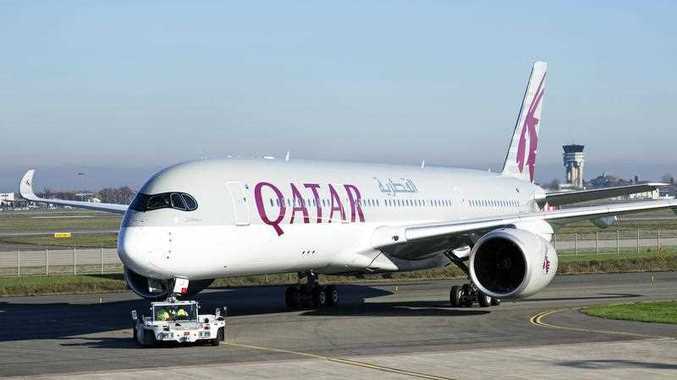 "Bahrain, Egypt and the UAE have committed under the agreement to permit scheduled flights from the State of Qatar to overfly their airspace," states CAPA. "This outcome is most delicate for the UAE, which has upheld itself as a champion of liberalisation and open skies." However, CAPA has warned that it's not clear what anyone could do if either country tossed the Transit Agreement aside in this case. "If the theory is clear, the practice is grey: the sensitivity of the dispute and urgency to force action does not necessarily mean the Transit Agreement will be complied with or will be seen as valid. "There is no police force to enforce commercial international [aviation] compacts. So it often falls to bring antagonists to the table; but here Qatar appears to have little to fight back with - in aviation terms at least." And Doha's worst nightmare could be coming true. On Wednesday, authorities in Bahrain's capital of Manama issued a new flight directive. "All flights registered in the state of Qatar are not authorised to overfly Bahrain airspace," the memo stated. For now, Qatar's plane continue to take off from Doha, soaring directly into Bahrain, seemingly flying in the face of the directive. It remains to be seen how Bahrain will respond. Whether they will turn a blind eye so long as Qatar confines itself to one short route through its airspace. Or if Bahrain will essentially force one of the largest airlines in the world to be grounded. The head of the International Air Transport Association, Alexandre de Juniac, says a swift decision on where Qatar can fly is needed. "Of course we accept that countries have the right to close their borders," he told AFP in Mexico on Wednesday. "But connectivity with Qatar must be restored as quickly as possible." CAPA's briefing says whatever happens the public's faith in Gulf carriers may have been shaken. "Confidence in aviation has been dealt a blow and for aviation there are no long term winners from this. A speedy resolution is needed."